Domestic affairs do affect people but only those who are members of the family. These are not public issues, RJD leader Tejashwi Yadav said. 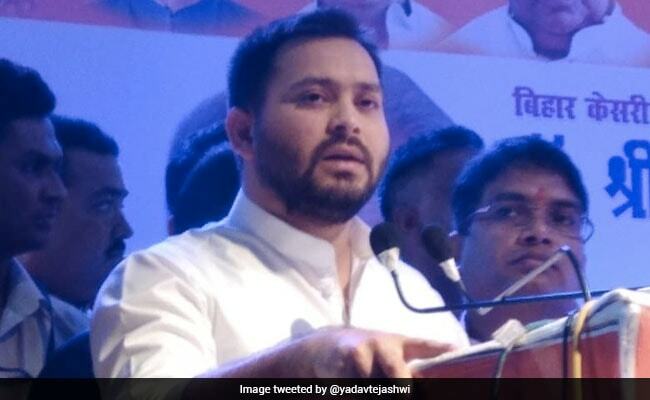 RJD leader Tejashwi Yadav today expressed strong displeasure over the media spotlight on the divorce petition filed by his elder brother Tej Pratap Yadav stressing that family matters should not be highlighted in public. The RJD heir apparently addressed to the effect at a conference in Patna, following the drama that has been unfolding since Friday evening, after a petition was filed by Tej Pratap seeking divorce from Aishwarya Roy, the daughter of a former Bihar minister, whom he married five months ago. On Friday, things began on a stormy note with thousands of police personnel going on the rampage following the death of a female constable. It was a serious issue, concerning law and order, and was being rightly highlighted by the media, Mr Tejashwi said. But by evening, all that was forgotten and happenings in a family became the centre of attention, the former Bihar deputy chief minister said, in an oblique reference to the news surrounding his elder brother's marital discord. Domestic affairs do affect people but only those who are members of the family. These are not public issues, Mr Yadav lamented. Rashtriya Janata Dal (RJD) national vice-president and party supremo Lalu Prasad Yadav's close associate, Raghuvansh Prasad Singh also said discords do crop up in families and get resolved. He added that the episode will have no bearing on the political prospects of Tej Pratap, who is a sitting lawmaker of the RJD in general. Addressing queries from journalists, Mr Singh said, "Why would Tej Pratap's divorce petition affect anybody politically? Did not the BJP win elections and Narendra Modi become the Prime Minister despite his separation from his wife?"